cPanel is one of the most popular web hosting control panels available today. With it’s user-friendly graphical interface and robust server automation tools, cPanel is designed to make web hosting as simple as possible. However, like many other popular applications, it can be vulnerable to potential security problems. To prevent your website from falling victim to hackers and malware, it is critical that you manage and routinely check your server’s cPanel security settings. SSH or Secure Shell, is a common way users access their server or website remotely. Unfortunately, it also provides an entry point for hackers. Data sent through SSH is authenticated and encrypted to prevent outside manipulation, so malicious users can’t touch it unless they break through your security measures. The default port of 22 is the most common setting for SSH access. Changing it to another available port and implementing a security key for logins minimizes the risk of being hacked. Switch the settings from SSH1 to SSH2 for additional protection. A firewall lets users access cPanel while keeping unauthorized individuals out. ConfigServer Security and Firewall or CSF, is one of the most popular firewalls for cPanel. It scans the system on a regular basis and checks authentication logs to keep your site safe from hackers at all times. CSF also provides feedback on how to make your server more secure overall. Although a firewall can prevent hackers from gaining access to a website or server, it won’t stop them from trying to log in. Brute force protection is a feature of cPanel used to block IP addresses after multiple failed login attempts. Found under the ‘Security Center’ section, this option is easy to enable and customize. Use the IP Deny Manager to manually input IP addresses known to be malicious so that they’re never allowed to log on. You can customize the brute force option, known as cPHulk, by setting how many minutes the tool monitors for repeated logins, the maximum number of failed logins allowed and how long each IP ban stays in place. From your admin cPanel login to individual email accounts, every access point needs a strong, secure password. Longer passwords allow for more complex combinations of numbers, symbols and upper- and lower-case letters. Use a different password for accessing cPanel, FTP, email management and other secure areas, making sure none of them contain obvious information such as phone numbers or birthdays. If you have trouble coming up with enough different combinations, try an online password generator. One of the easiest ways to keep cPanel secure is to enable automatic updates. Old versions of software, including cPanel, may contain security vulnerabilities hackers can use to access your server. Automatic updates ensure you’re always running the latest version of cPanel with any associated security patches and bug fixes. Go back and check once and a while to confirm updates are running as they should. If not, update manually and contact your web host to find out why the setting isn’t working. Enabling these additional cPanel security settings helps address any remaining vulnerabilities and keep hackers at bay. But, for those of you who feel there’s just not enough time in your day to employ these security measures, or if you just prefer someone else does it for you, at TurnKey Internet we got your back. 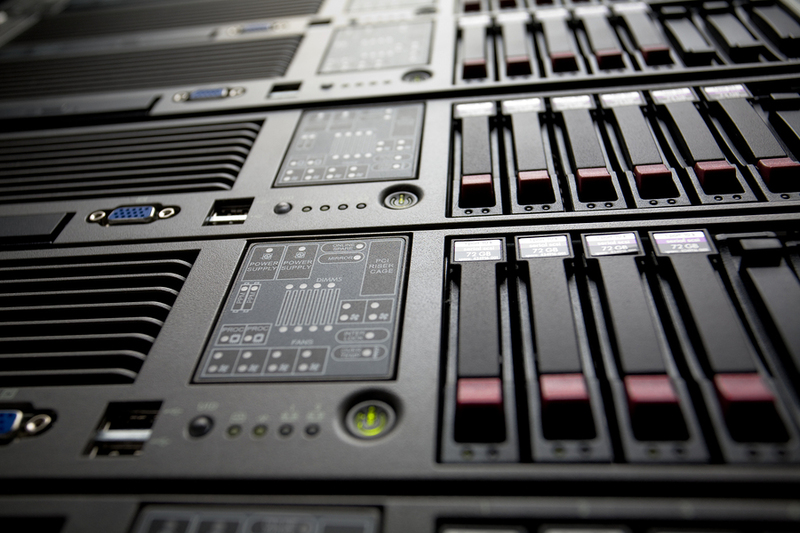 We offer Fully Managed solutions that include Server Hardening. We’ll take care of securing and protecting your server and cPanel so you can focus on running your business. Whether you’re an online business or an individual looking for more power, flexibility, and control over your web hosting solution, the answer for you may be a dedicated server. With a dedicated server, your business has exclusive use of that server’s resources. You also have the flexibility of customizing the server to meet your individual performance and security requirements. To fully understand why a dedicated server is the better solution for you or your business, let’s take a look at the top five benefits they provide. When using a dedicated server, every bit of power, storage, and bandwidth is exclusive to you and no one else. Not only will this give your business more room to work with and expand, it will also prevent issues with your site caused by other websites. For example, if you’re site is hosted on a shared server where there is another website that is being attacked or hogging up resources, this can affect the performance of your company’s site. Each dedicated server comes with its own dedicated IP address. With shared hosting, your site may be sharing an IP address with multiple websites. If your website happens to share an IP with a site that spams or contains malware, this can cause multiple problems. Your website can end up getting blocked, your email rejected as spam, even your search results can be affected. Another thing to consider is whether or not you’ll be running an e-commerce or selling things on your site. If so, you will need to have an SSL for your site, which in turn requires a unique dedicated IP. A dedicated server allows your business to customize the hardware and software based on your company’s unique needs. Things like CPU, Memory, Hard Drive, even the speed of the server’s network port, can all be customized and upgraded on dedicated servers. With shared hosting, you are limited to the software already installed on the server, and sometimes it may lack a requirement or feature your business needs. But with a dedicated server, you have full flexibility over which software the server runs, even down to the Operating System. Another downside of shared hosting is the lack of Administrative or root access to the server. This limitation affects what software you can install as well as the settings and options that you can configure on the server. This can greatly impact the potential of what you are able to do with your website. Another advantage of administrative/root access is the ability to better monitor and troubleshoot your website, with full access to the server’s logs. With a dedicated server, you have exclusive access and can dictate who shares that access. This allows you to better secure the contents on your server and alleviates the concerns of sharing a server with malicious or careless users. Also because you have full control over the server, you can better enhance and customize its security based on your unique needs. Now if you’re worried that you’re not tech savvy enough to run your own dedicated server, consider the option of going with a Managed Dedicated Server solution, which will provide many additional benefits on top of what’s listed above. Also if cost is a concern, check out our latest Best Value Dedicated Servers. There are countless other advantages to using a dedicated server, however the 5 above are some of the most notable. So before you decide to host your website on a shared server, consider the added flexibility, reliability, and performance that only a dedicated server can provide. Failing to protect your WordPress site from potential hackers could leave years of work vulnerable to attack. Malicious users know how to exploit vulnerabilities in unprotected sites, hijack files and plugins for their own use and sabotage functionality. 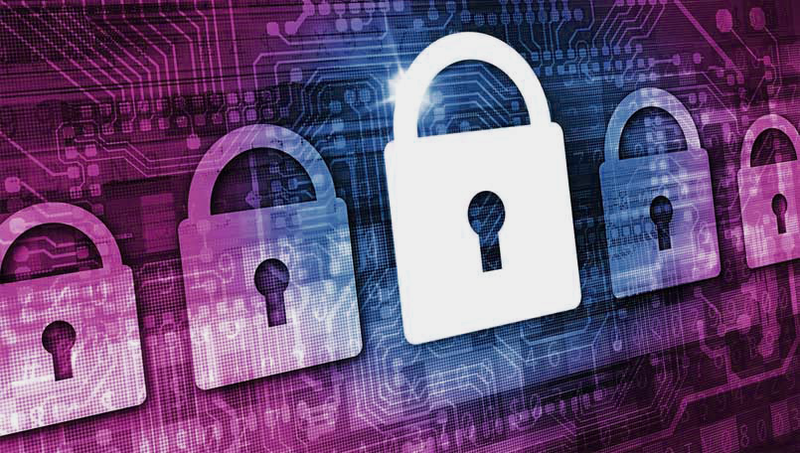 If you’re not doing all you can secure your site against attacks, it’s time to take action. Use these ten WordPress security tips as a starting point to lock out hackers and protect your web presence. By default, WordPress users access their login pages via domain names followed by wp-login or wp-admin. Hackers know this and will immediately navigate to these pages when attempting to enter your site. Using a security plugin, you can change the URLs of login and user registration portals. Although this doesn’t prevent hackers from eventually finding these pages, it slows them down and may be frustrating enough to make them give up trying to access your site. Using “admin” as your administrator login name is like an open door for hackers. Your login should be distinct to your website and difficult to figure out. One way to ensure your login remains unique is to use the email associated with your WordPress installation instead of a username. 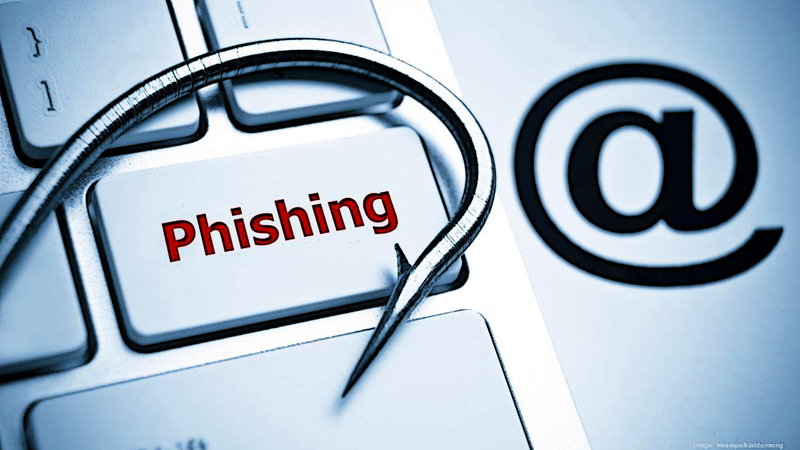 Email addresses are harder to guess and offer better authentication for administrator logins. There was a time when you could stick a few numbers on the end of your dog’s name and call it a reliable password, but in today’s volatile Internet landscape, you need much more than that. Use a password generator to create strong WordPress passwords, and change them on a regular basis. Good passwords include uppercase and lowercase letters, numbers and symbols in various combinations. The more complex your passwords, the more secure your site will be. Many sites employ a two-step process to verify the identity of each user attempting to log in. Using the same method on your site means it will take a little longer for you to get to the dashboard, but it may prevent hackers from gaining access to your site. Two-factor authentication lets you choose a secret question or a special code to be after the initial password screen. Some methods use a one-time authentication message sent via text to ensure only authorized users can log in. 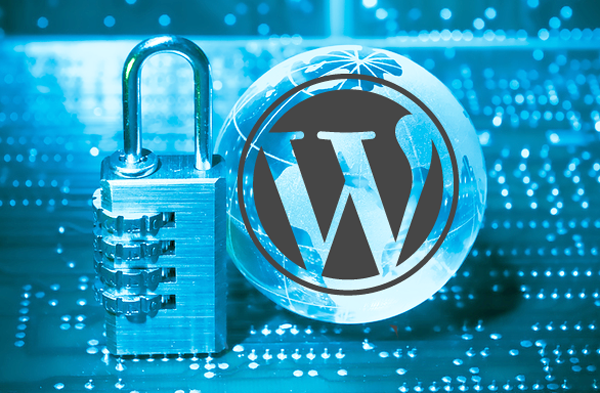 Hackers need multiple attempts to get into your WordPress site, and plugins like WordFence alert you to this activity while locking down the site to prevent unauthorized access. Such security plugins act like gatekeepers, watching who tries to log in, sending alerts, checking for file changes and banning offending IP addresses. Reports of activity arrive in your inbox immediately and again in weekly summaries so that you can keep on top of any potential problems. Collaborative or corporate blogs require several user accounts, and this can pose a problem for security unless all users understand how to keep the site protected. Be selective when adding accounts, since every new login creates another potential point of vulnerability. Establish rules about password strength and how frequently passwords should be changed, and make sure each user has a distinct login name. Set individual user permissions at the lowest levels possible so that it’s difficult for hackers to do damage should additional accounts ever be compromised. Remember to back up the existing .htaccess file before making any changes. Themes, plugins and the WordPress core are updated regularly to fix known problems, including security issues. Before installing any plugin or theme, check the last time it was updated. Ensure the developers offer continued updates after installation, and stay away from pirated “free” versions of premium plugins. Run updates as soon as you can to eliminate vulnerabilities. If you have trouble remembering to update or have a tendency to miss notifications, consider setting automatic updates to run on a routine basis. Make a habit of going through the plugins and themes stored on your WordPress site whenever you run updates. Delete anything you haven’t used in a while or have replaced with something more functional. You may be surprised how many plugins you’ve accumulated while building your site, and getting rid of unused ones eliminates vulnerabilities. It’s also a good idea to clean up your database from time to time. Find a reliable database cleaning plugin and run it to remove old file versions and other outdated information. As a bonus, your site should load faster and run more smoothly without the extra files weighing it down. No matter how careful you are, there’s always a chance an enterprising hacker could break through your site’s defenses. Creating site backups safeguards all the information on your site, giving you a way to restore everything should your security measures ever fail. Some hosting companies provide scheduled backups as part of their services, but it’s a good idea to also have your own plan in place. Use a backup plugin or make manual backups on a regular basis, and store the files in a secure place so that you know they’ll always be there if you need them. WordPress site security isn’t a “set it and forget it” measure. After putting initial protections in place, it’s essential to continue monitoring activity and running updates. Keep an eye out for new, stronger security tools, and implement the best combination of plugins and code changes to prevent the majority of attacks. 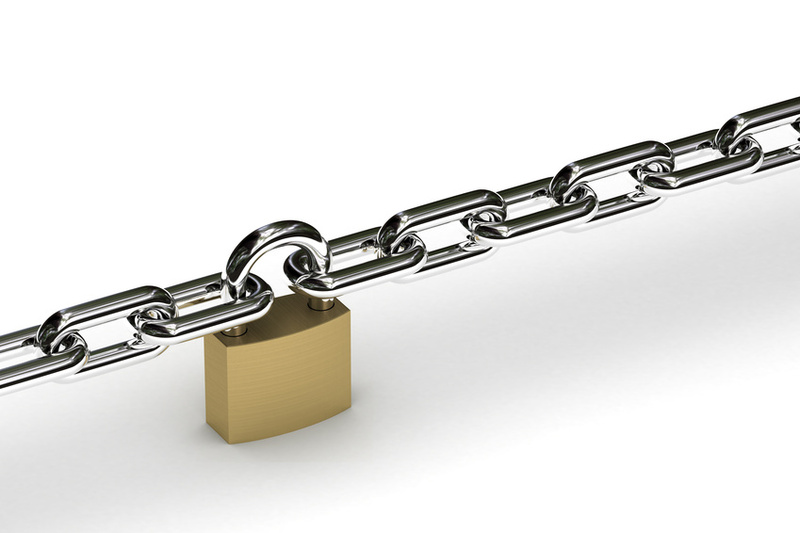 Browsers and websites should turn off SSLv3 in order avoid compromising users’ private data. The most straight forward method is to disable SSL 3.0 entirely, which you can see how to do at the links below, however, this can cause a myriad of computability issues. Therefore, the recommend plan of option is to enable TLS_FALLBACK_SCSV. Using the links below, they will show you how to properly secure your servers SSL daemon. These options resolve the issue of retrying failed SSL connections. It also prevents hackers with knowhow from downgrading from TLS 1.2 to 1.1 or 1.0. WordPress is one of the most popular site building pieces of software currently on the internet. Sure, you have Joomla which is almost the same as wordpress, but has slight differences with its configuration. For this article, however, we will be focusing purely on wordpress. As you can see in the overview above, over 60 million people have chosen to use wordpress which is quite a large pool of users on the internet. Now, what if someone decided to launch an attack on wordpress based sites? They would have a pretty large base of users to attack and could affect hundreds or possibly, thousands of websites. Well, this attack has already happened and still running at this very instance. This in conjunction with our ACL will prevent the attack from affecting your site(s). -Changing your default admin username for wp-admin to a different username as the attack is specifically targeting the admin username. Using the tips we’ve provided above, this will help to keep the attack from affecting your site. 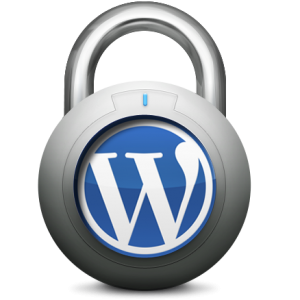 It will also increase the security of your wordpress based site as well. We hope this will help all clients and not just those at Turnkey Internet, but any client globally who may be having issues with the wordpress attack on their sites. 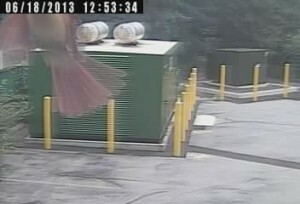 At approximately 12:53PM on June 18, 2013, a cardinal was captured on security film trying to break into TurnKey Internet’s highly secure, green data center in New York’s Tech Valley Region. Neighbors called in after tweets (audible, non-Twitter) were heard at the Latham data center. Luckily, TurnKey Internet’s facility contains a state-of-the-art security system that safeguards their SSAE-16 Type 2 certified building. The bird stands about three inches in height, is red in color and has a white belly. The culprit was last seen fleeing the scene to a nearby maple tree. If you have seen this bird, have any additional information, or have any suggestions for when birds attack, please contact your local authorities or email birdpatrol@turnkeyinternet.net. You heard right, ladies and gentlemen! We are proud to add SSAE 16 Type 2 to the list of certifications that our green data center in Upstate NY has attained. “What’s that,” you ask? SSAE (or The Statements on Standards for Attestation Engagements) No. 16 (SSAE 16) Type 2 certification is an internationally recognized compliance certification, that was created by the Auditing Standards Board of the American Institute of Certified Public Accountants in April of last year (2012). It replaced the Statement on Auditing Standards No. 70 (SAS 70) to better supplement international auditing standard ISAE 3402. After a thorough examination, conducted by SOC audit specialists The Moore Group CPA, LLC., our facility was deemed compliant with the regulations required to attain SSAE 16 Type 2 certification. This audit investigates several core areas: security, availability, processing integrity, confidentiality, and privacy. 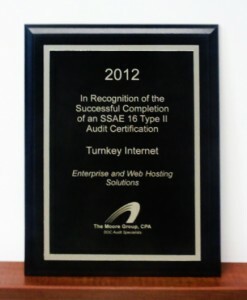 It verifies that TurnKey Internet is of the utmost security, integrity, and reliability. It confirms that we have procedures and safety precautions of the utmost efficiency in place to ensure the security of our facility and our clients’ data within.